Home Review	Wiko Selfy 4G Review – The phone for selfie fans! Both the Wiko Ridge 4G and the Highway Star really impressed me with their premium feeling – especially the first-mentioned surprised and satisfied me in terms of build quality and design. The Selfy 4G on the other hand sadly doesn’t achieve to deliver the same great quality and experience. While the phone does impress in terms of thinness (7.7 mm) and weight (116 g), which make the phone really comfortable to hold, other aspects don’t stand out positively. The plastic back has a leather texture to it which in my opinion feels quite cheap and isn’t outstandingly comfortable either – of course some of you might think different but for me this just doesn’t feel as nice and premium as the Ridge 4G which you can get for the same price now (199 CHF ≈ $ 210). Of course this comparison isn’t quite fair as the Selfy 4G just came to market – still if you want to have a superior build quality I’d definitely pick the Ridge 4G. Positive: The back is easily removable giving you access to the slots for the micro SIM card and micro SD card. 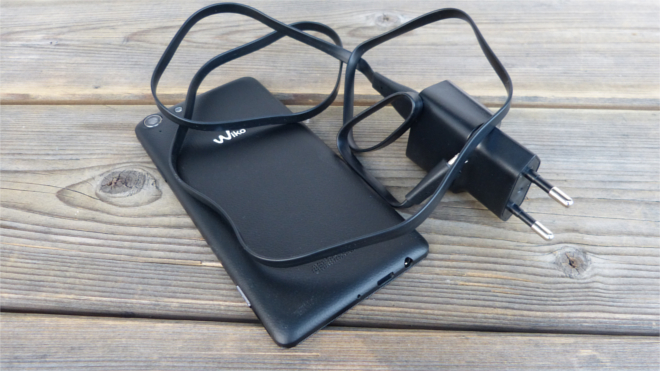 As with other Wiko phones the battery isn’t exchangeable. The power button and the volume rocker both aren’t as sturdy as I’d like them to be – especially comparing to the perfect volume rocker on the Ridge 4G this is a disappointment. Since double tap to wake up/turn off the display is supported, the “problem” isn’t as big as with the volume rocker. Just to make clear: The buttons are still ok and you won’t have huge problems, still there’s definitely a big difference in build quality between the three phones. 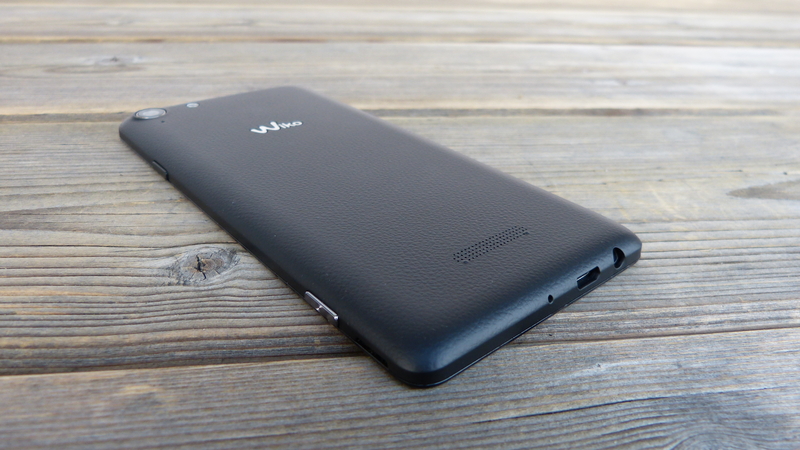 The front is completely black and once again the Wiko branding is missing. All in all I have to say that I’m quite disappointed by the design and the build quality of the Selfy 4G. Comparing with the superb build quality of the Ridge 4G, the Selfy 4G feels rather cheap. To be fear, the phone is a budget phone and therefor the quality is still acceptable. After all, I wished for it to be better! I know Wiko can do better 🙂 Once again: The Ridge 4G is such a great feeling phone! The Wiko Selfy 4G has a 4.8” AMOLED screen with a resolution of 1280 x 720p. Furthermore, the device features double tap to wake up the device and double tap to turn of the display, which really is a pleasure to use. Additionally, the phone supports several gestures (the ones you also find on the Highway Star). With a resolution of 1280 x 720 pixels the display is sharp enough – especially given the relatively small screen of 4.8” inches. Of course individual pixels are noticeable but for the targeted price point the resolution is more than acceptable. In fact, my daily driver the Lumia 830 features the same resolution and I’m still quite happy with that. Like the screen on the Wiko phones I’ve tested so far, brightness is very satisfying. The maximum brightness level is very high, which makes the phone usable also in bright environments. Furthermore, the lowest brightness level is lower than on the other Wiko devices I’ve tested so far, which finally makes the phone acceptably usable in dark environments. Auto brightness is good, but not as convincing as on the Ridge 4G and Highway Star as it sometimes doesn’t adjusts the brightness quite right. Still, most of the time it gets the job done. The screen of the Wiko Selfy 4G uses AMOLED technology and therefor provides you with really nice looking and vibrant colors. Blacks are very deep and just beautiful and even the whites are quite good. So definitely a very nice display regarding colors – especially considering the price of the phone. Also the viewing angles are really good. Here the Selfy 4G wins for me comparing with the Ridge 4G. With it’s 4.8” display the Selfy 4G is one of the few phones which is smaller than the pretty much standard 5”. Although I really liked the massive screen of the Lumia 640 XL, I also really appreciated having a slightly smaller screen this time around. In the end, this is a very subjective topic. Something I really appreciate having on a phone is double tap to wake up. The Selfy 4G even supports double tap to turn off the display which just makes the whole experience even better – especially since it works really reliable (which wasn’t the case on the Lumia 735). Furthermore, Wiko integrated the same gestures you already could use on the Highway Star giving you the possibility to open apps by drawing a letter on the display when it is off, e.g. if you draw a C then the dialer app opens. This is a very nice feature in my opinion. So all in all I’m really impressed by the screen quality of the device and its features. For the targeted price, the display is outstandingly good. The Selfy 4G has a battery capacity of 2300 mAh. This is enough to get you through one day but not much more. To get through two days with one charge is much more challenging than with say the Ridge 4G. This is a little bit disappointing but I believe that Wiko could still improve the battery life a little bit with a software update. – …battery life could be better! As on many phones, the speaker on the Selfy 4G is backfiring. The placement on the bottom of the back makes it very easy to block the speaker. While the speaker can get quite loud, the quality isn’t that good. Still, if you just want to quickly watch a YouTube video or play a game the quality should be acceptable. Luckily, Wiko also includes some quite good headphones in the packaging. As the name already indicates, the focus of the device lays on taking selfies with the front-facing 8 megapixel camera with its led flash. Therefor it shouldn’t be too surprising, that this camera is quite good and definitely one of the best (if not the best) front-facing camera I’ve ever used on a smartphone. 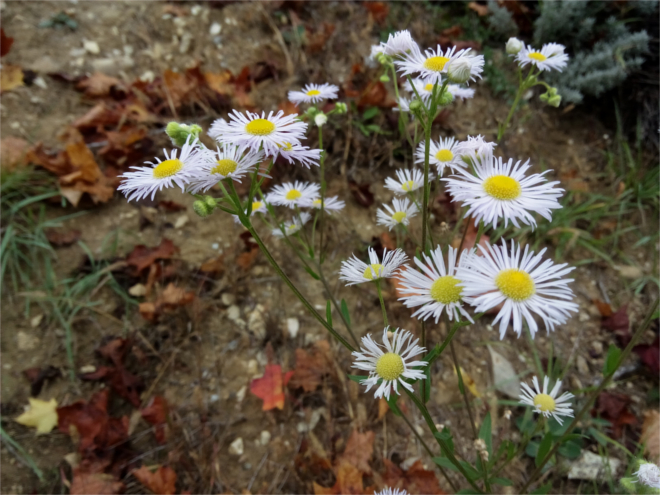 Pictures are really sharp – especially if you compare them with the ones taken on the Lumia 830 with a rather low resolution front camera – and also provide fairly nice colors. Wiko also added some special modes to the camera, which should further enhance your “selfie experience”. For instance, there’s a special mode which lets you take wide-angled pictures (somehow like a panorama mode for the front camera). 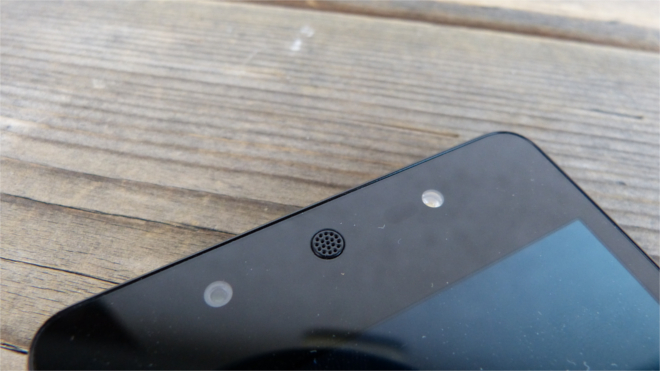 Furthermore, the device features a dedicated camera button. By double tapping on it you can launch the camera and by pressing and hold you can take a series of photos. Coming from a Lumia 830, this is something I really appreciated and I definitely have to praise Wiko for adding this feature. As I mentioned before, this device is specialized for selfies but of course many also want to take great pictures or at least snapshots with the back camera. 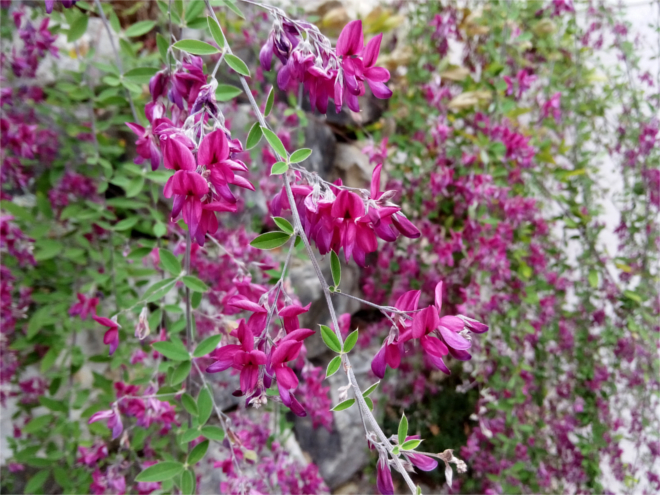 And for snapshots, the 8-megapixel shooter of the device definitely is good enough although also not the best one. 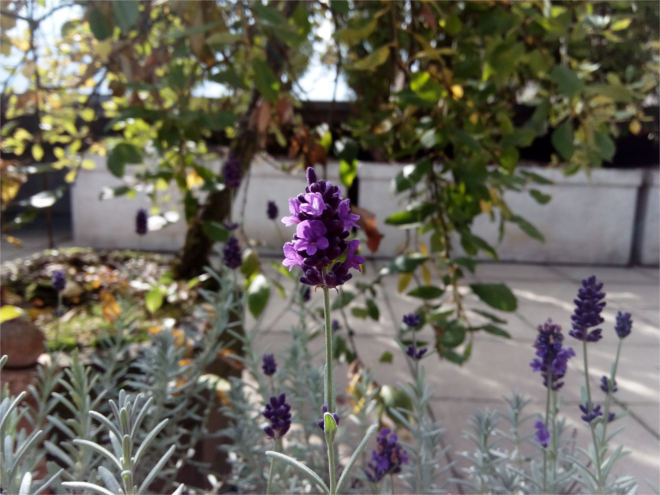 If you really want to take great pictures and don’t want to spend too much, I still think the best way is to check out either the Lumia 640 or Lumia 640 XL – especially the latter takes really good pictures. Back to the camera quality of the Selfy 4G: Pictures are sharp enough, but I’d like them to be slightly more detailed and I’d also like the colors to be more vibrant. After all, for targeted price point the camera is acceptable in my opinion. The Wiko Selfy 4G is the first phone with Android 5.1 Lollipop I was able to use for a longer time. While I definitely appreciate that the device already ships with one of the newest versions of Android, I also have to mention that Wiko still has some work to do. Not only aren’t all the apps optimized for the new Material design but also does the software not run as smooth as on the Ridge 4G and Highway Star with Android 4.4. Of course, the Selfy 4G does have a lower-end processor but I still think the manufacturer could improve the overall experience. But as mentioned before I also do appreciated the fact, that the device runs Android Lollipop: For instance, I really like the new design and the improved and really stylish animations and effects which make the whole user experience a lot more natural and comfortable. Furthermore, I like the new settings app, which is nicely ordered, and allows you to search for a specific setting. And what I really like about Android 5. (x) is the notifications which are placed on the lock screen. This means you don’t have pull down the notification center every time to see all the important notifications. Speaking of the notification center, I have to say I’m not the hugest fan of the changes which Google has done. For instance, I think it’s really impractical that you have to pull down twice to get to your quick settings (e.g. for Bluetooth). It really took me a while to get used to that and (while the animations really look nice) I have to say I preferred the notification center of Android KitKat. Of course there are also the normal pros and cons about Android. One of the pros definitely is the Google Play Store with many high-quality apps and games – an area which Windows Phone can’t compete as of now but I really hope (and believe) that we will see huge improvements here with Windows 10 Mobile and the Universal App platform. The Wiko Selfy 4G is equipped with a MediaTek MT6735 and just 1 GB of RAM. As mentioned in the software part, there were some slowdowns sometimes. For example if you tap on Google Chrome there was always a delay of 1-3 seconds till the app actually opened. Same goes for the YouTube and the Store app. This is quite annoying. Furthermore there’s also a short delay when you want to type something until the keyboard appears. Jumping between apps isn’t as fluid and fast as on the Wiko Ridge 4G or Highway Star (both have 2 GB of RAM) either. Apart from that, performance is good enough and there aren’t many stutters. Regarding games you can definitely play casual games and also some more intensive games on it without any problems – but if you want to really play a lot of games like Asphalt 8 this probably isn’t the phone for you. You also have to keep in mind that the device only has 8 GB of internal storage (which can be expended though). After all, the performance off the Ridge 4G is acceptable. If you don’t mind the delays when opening some apps or switching between them, then the performance will please as you won’t notice many stutters. If you are gamer though, I’d consider another phone (maybe the Highway Star). Once again I think or hope, that Wiko is able to improve the performance a little bit with a software update for the device. 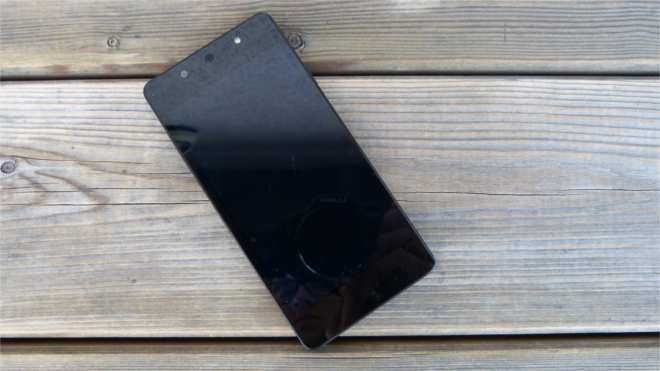 At the beginning of the review I mentioned that I was a slightly disappointed by the Wiko Selfy 4G. This definitely doesn’t mean that the phone is a bad device: In fact, if you’ve read the whole review it should be quite clear that I also like many things about it. Still, the experience overall isn’t as good as with the Wiko Ridge 4G and Highway Star. My main complaint is the rather cheap feeling of the device (yes, this isn’t an expensive phone but the Ridge 4G just feels much better and costs about the same) due to the plastic back and the not so sturdy buttons. Wiko also could further optimize and improve the performance of Android 5.1 Lollipop. On the other hand, I really do like the display, the front-facing camera and the dedicated camera button. 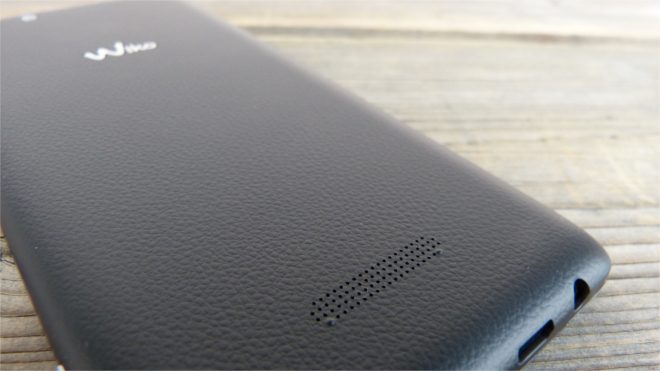 Really thin and light device with a removable back cover…. As you can see, the Wiko Selfy 4G definitely is a great option for those who like to take selfies with their phones and don’t want to spend too much – and in this aspect the device really shines. If you’re into this, then the Selfy 4G might just be the perfect option for you!